The term leaf refers to the organ that forms the main lateral appendage on the stem of vascular plants. In general, leaves are thin, flat organs responsible for the photosynthesis of the plant. Although photosynthesis typically only occurs on the upper surface of the leaf, it can occur on both sides in some plant species. Leaves are typically comprised of a distinct upper and lower surface, stomata for gas exchange, waxy coating, hairs, and venation. Each side of the leaf differs in regarding the level to which these features are expressed. Although leaves are typically located above ground, some species have leaves which reside underground (e.g., bulb scales) or underwater (e.g., aquatic plant species). Moreover, the leaves of some plants may not be associated with photosynthesis (e.g., cataphylls). Leaves are typically oriented on a plant to avoid blocking the sunlight of the leaves situated underneath. 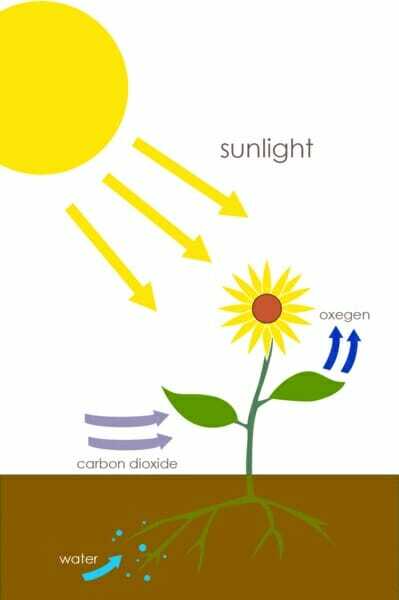 The primary function of the leaf is the conversion of carbon dioxide, water, and UV light into sugar (e.g., glucose) via photosynthesis (shown below). The simple sugars formed via photosynthesis are later processed into various macromolecules (e.g., cellulose) required for the formation of the plant cell wall and other structures. Therefore, the leaf must be highly specialized to combine the carbon dioxide, water, and UV light for this process. Carbon dioxide is diffused from the atmosphere through specialized pores, termed stomata, in the outer layer of the leaf. Water is directed to the leaves via the plant’s vascular conducting system, termed the xylem. Leaves are orientated to ensure maximal exposure to sunlight, and are typically thin and flat in shape to allow sunlight to penetrate the leaf to reach the chloroplasts, which are specialized organelles that perform photosynthesis. Once sugar is formed from photosynthesis, the leaves function to transport it down the plant via specialized structures called the phloem, which run in parallel to the xylem. The sugar is typically transported to the roots and shoots of the plant, to support growth. Transpiration refers to the movement of water through the plant, and subsequent evaporation via the leaves. When the stomata open to accommodate the diffusion of carbon dioxide into the plant for photosynthesis, water flows out. This process also serves to cool the plant via evaporation of the water from the leaf, as well as regulate the plant’s osmotic pressure. Guttation refers to the excretion of xylem from the edges of leaves and other vascular plants due to increased levels of water in the soil at night, when the stomata are closed. The pressure caused at the roots results in the leakage of water from the xylem out of specialized water glands at the edges of leaves. Leaves are a primary site of water and energy storage since they provide the site of photosynthesis. Succulents are particularly adept at water storage, as evidenced by the thick leaves. Due to the high levels of nutrients and water, many animal species ingest the leaves of plants as a source of food. 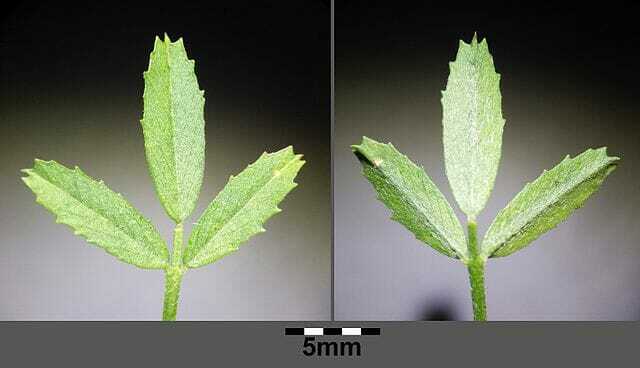 Some leaves have also evolved defense mechanisms to avoid being eaten or damaged. Some examples include the spines of cacti, cones of gymnosperms, respectively. In addition, hairs found on leaves prevent water loss in dry climates and sting animals that detour herbivores (e.g., Urticaceae). Moreover, the waxy coatings found on leaves serve to protect against water loss, rain, and forms of contamination. Oils and other secreted substances also detract from being consumed by herbivores. 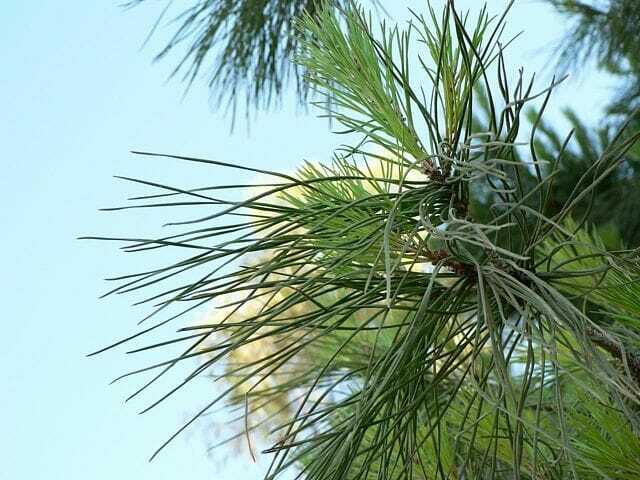 Conifer leaves are needle-shaped or in the form of scales. Conifer leaves are typically heavily waxed and highly adapted to colder climates, arranged to dispel snow and resist freezing temperatures. Some examples include Douglas firs and spruce trees. The images below illustrate this type of leaf. Microphyll leaves are characterized by a single vein that is unbranched. 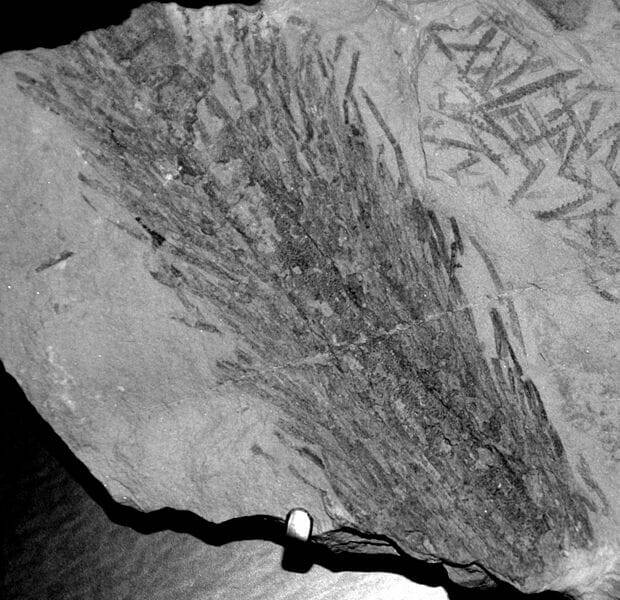 Although this type of leaf is abundant in the fossil record, few plants exhibit this type of leaf today. Some examples include horsetails and clubmosses. The image below illustrates this type of leaf. Megaphyll leaves are characterized by multiple veins that can be highly branched. Megaphyll leaves are broad and flat, and generally comprise the foliage of most plant species. The image below illustrates this type of leaf. Angiosperm leaves are those found on flowering plants. These leaves are characterized by stipules, a lamina, and a petiole. The illustration below shows an example of an angiosperm leaves. Fronds are large, divided leaves characteristic of ferns and palms. The blades can be singular or divided into branches. 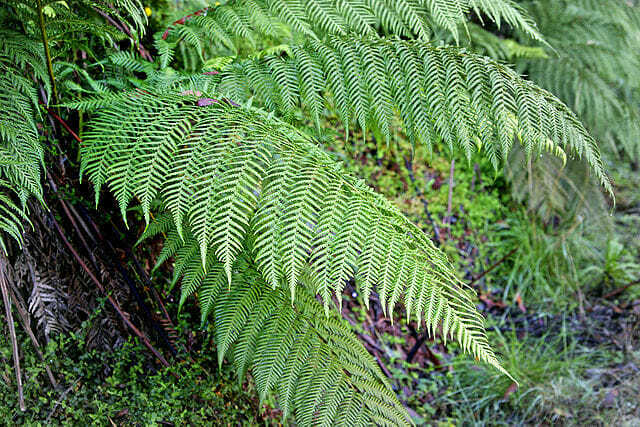 The image below presents an example of a frond. 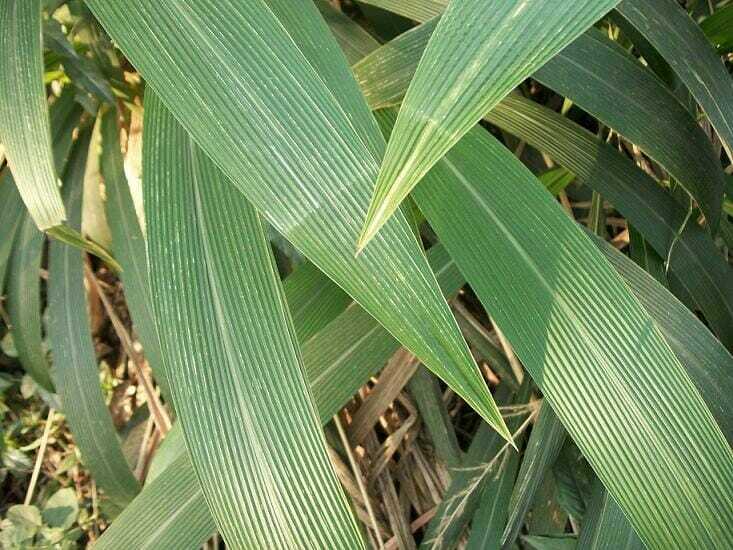 Sheath leaves are typical of grass species and monocots. Thus, the leaves are long and narrow, with a sheathing surrounding the stem at the base. Moreover, the vein structure is striated and each node contains only one leaf. 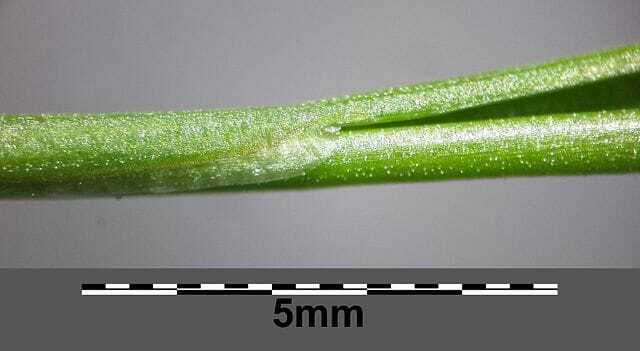 The image below presents an example of a sheath leaf. B is correct. Although some of the secondary functions of the leaf include water evaporation via transpiration, the primary function of the leaf is photosynthesis. Leaves contain specialized pores call stomata, which allow for the diffusion of carbon dioxide, are structurally thin and broad to capture sunlight, and contain chloroplasts, specialized organelles responsible for photosynthesis. A. It typically occurs at night. B. It occurs when the stomata are closed. C. It results from increased water pressure in the soil. D is correct. Guttation occurs due to increased water pressure in the soil, which causes leakage of water out of the xylem through structures located at the edges of leaves. This process typically occurs at night when there is more moisture in the soil and the stomata are closed since photosynthesis does not occur in the absence of sunlight. Brodersen C and McElrone A. (2013). Maintenance of xylem Network Transport Capacity: A Review of Embolism Repair in Vascular Plants. Front Plant Sci.4:108.